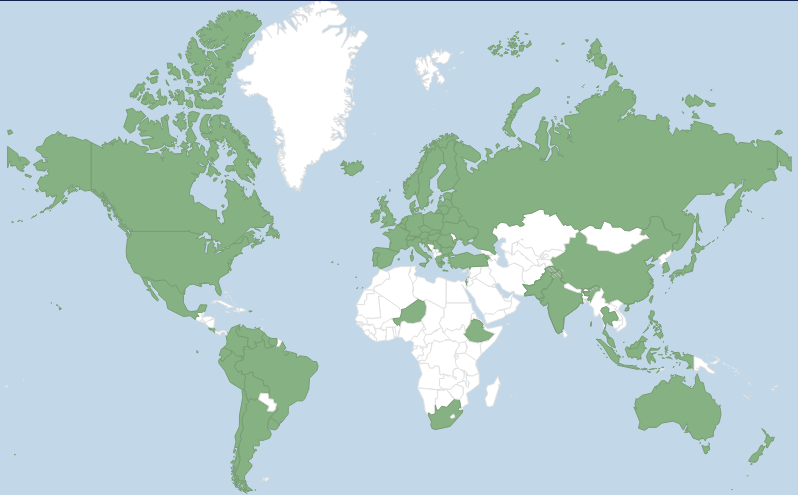 One thing you might notice if you look at the Fecking Bahamas World of Math map is how many math bands reside in either the UK, the US or Japan. There’s a history of bands to look up to in these countries, there are scenes full of passionate and like-minded individuals making similar music and there are established labels and press publications to give support. As a member of a math band outside the ‘big three’ I can tell you things are not easy. From finding fellow musicians to getting put on all sorts of strange line-ups, it can be really difficult playing in a country where you’re the black sheep. In the past few years, however, countries one normally wouldn’t expect are producing wonderful math-rock bands as the popularity of the genre spreads internationally via the internet. Here in the far-east and south east of Asia we have Elephant Gym in Taiwan, tfvsjs in Hong Kong, Duck Fight Goose in China, Aire and Two Million Thanks in Thailand. tide/edit from Manila in the Philippines have only been around for a short time but already have one impressive release under their belt in 2012’s Ideas EP, and have since been writing constantly to bring us their first full-length. Foreign Languages is a beautiful piece of work, full of melody and energy. Clean syncopated guitar riffs duel with a solid and unfussy rhythm section that gives even on repeat listens. The lack of vocals allows the listener to focus purely on the almost pop-riffs and driving beats that surround the album. I feel sometimes math-rock can lose itself in chaos, to veer between time signatures and poorly glued-together ideas. Thus, it’s refreshing to listen to bands plying smile-around-the-face, happy-toe-tapping joyful sounds with the focus on good song writing, power and the immediacy of aural pleasure. Foreign Languages is a perfect contrast to the speed and loudness of life in this part of the world. Go listen.